Touch typing is, without a doubt, the most important skill that a student can learn before leaving school. If you go to college, your professors often will not accept hand written assignments, because typed pages are much easier to read and edit. Even an entry level job at the local Wal-Mart or fast food place will require at least some rudimentary typing skills so you can swiftly and accurately enter customer or order information. Unfortunately, most schools today have forgotten the importance of touch typing for students, and as such typing classes and lessons have been left out of the curriculum in favor of other skills that are deemed more important. To counter this willful ignorance, we've gathered a few tips and tricks to help you learn how to properly touch type, with or without the assistance of your school. The first step toward learning how to properly touch type is to learn where your typing skills currently stand. The easiest way to do that is to take an online typing test. These tests are designed to test your typing speed and accuracy, and to analyze your current typing techniques. They will provide you with three numbers: a gross typing speed, an accuracy percentage, and an adjusted typing speed. Hunt and peck typists, or people that have to look at the keyboard to find the location of each key, usually average about 20 words per minute, adjusted. An unskilled touch typist can easily exceed this by using proper typing techniques. Beginners can usually manage about 35 words per minute, and practiced typists have been clocked at more than 100 wpm. The world record for typing on a QWERTY formatted keyboard is 216 words per minute. Once you know what your adjusted words per minute are, it's time to start practicing. Almost every website that offers typing tests will also offer lessons that are customized based on your initial test. These lessons will stress things like proper hand placement, sitting posture, and which fingers should be used for each key. By following these lessons you can easily start adopting proper touch typing techniques for use in your daily life. When you choose to take a typing test, consider creating an account with that website. That way, you'll be able to record your results and track your progress without having to start over from the beginning every time you visit the website. We know you want to reach those top typing tiers as quickly as possible, but rushing through your typing lessons isn't going to help anyone. When you're just starting to learn proper touch typing techniques, take your time. Not only will this help the lessons sink in, but it will keep you from making lots of mistakes as you're learning. Remember, accuracy is almost always more important than typing speed. This is why you are always provided with an adjusted word per minute speed after you take a typing test. You may be able to type 100 word per minute, but if every other word you type has an error in it, you might as well not be typing at all. Most jobs that require a certain amount of words per minute will often designate an overall accuracy rating as well. For example, if you're applying for a job as an administrative assistance, they may request only applicants who can type 65 words per minute with 95% accuracy. When you start lifting weights, you don't expect to wake up one morning to find a perfectly sculpted body in the mirror. It takes practice, repetition, and perseverance. Learning proper touch typing techniques works in the same way. Touch typing is not something that you're going to pick up overnight, because much of it relies on muscle memory. Your fingers learn where each key is placed and are able to find them without assistance from your eyes. Once you can find each key without looking at the keyboard, you'll find your typing speed increases exponentially, and the more you practice, the faster you will get. There's a reason that people are given rewards for achievement: it motivates them to reach for even higher levels of success. There's no reason that you shouldn't use the same reasoning to reward yourself for making progress in your touch typing lessons. Set small, easily obtainable goals (i.e. a 10wpm increase in your typing speed) and once you've completed them, reward yourself! It doesn't have to be anything extravagant or expensive. Just go to the store and buy your favorite ice cream, or treat yourself to a manicure or something. Not only is it enjoyable for you, it gives you that bit of extra motivation that you might need to continue practicing. If your school or college has neglected your typing lessons, it's not too late to start learning on your own. 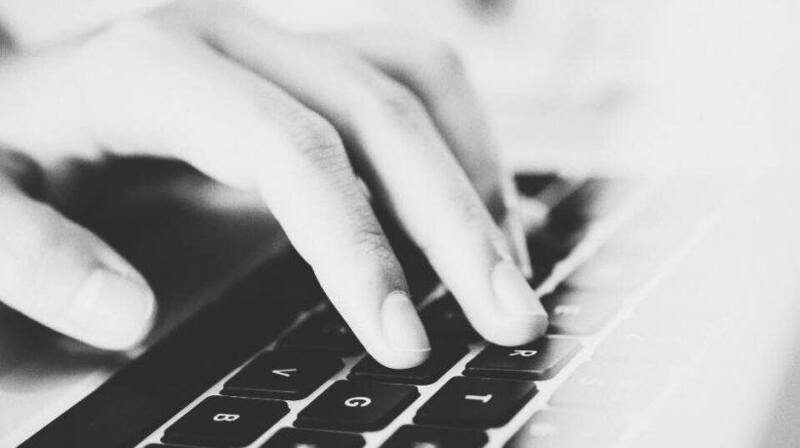 Click the links above to take your first typing test and set yourself on the path to becoming a successful and accurate touch typist. Good luck!